Description: Beautiful well maintained home on park-like setting surrounded with privacy & mature trees on a large lot. This wonderful home has 3 spacious bedrooms, beautiful 3 season porch off the kitchen that overlooks a lush landscaped partially fenced in yard. 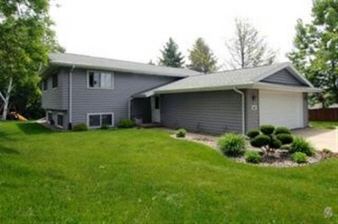 Fantastic finished walkout lower level includes spacious family room, fireplace, bedroom & bath. Many updates, including new siding, remodeled baths, new roof, new flooring....Don't hestitate, this is a wonderful family home.